Joe Browns Pyjama Set is rated 5.0 out of 5 by 2. 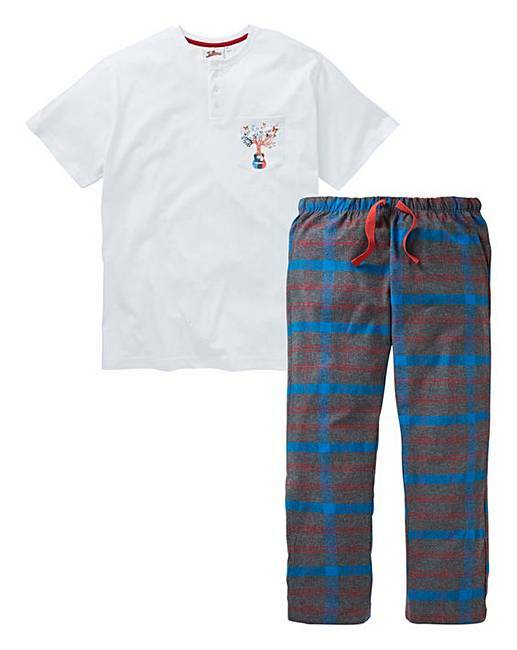 Joe Browns Pyjama Set with a short-sleeved crew-neck T-shirt with chest graphic and open hem checked loungepants with side pockets, an elasticated waistband and drawcord. Top: Cotton. Bottoms: 67% Cotton, 33% Polyester.